Women's Terri Sandals Just $21.99! Down From $44! You are here: Home / Instagram / Women’s Terri Sandals Just $21.99! Down From $44! Women’s Terri Sandals Just $21.99! Down From $44! At Jane, you can grab these Women’s Terri Sandals for just $21.99 down from $44! Shipping is $4.99 for the first item and free for each additional item! 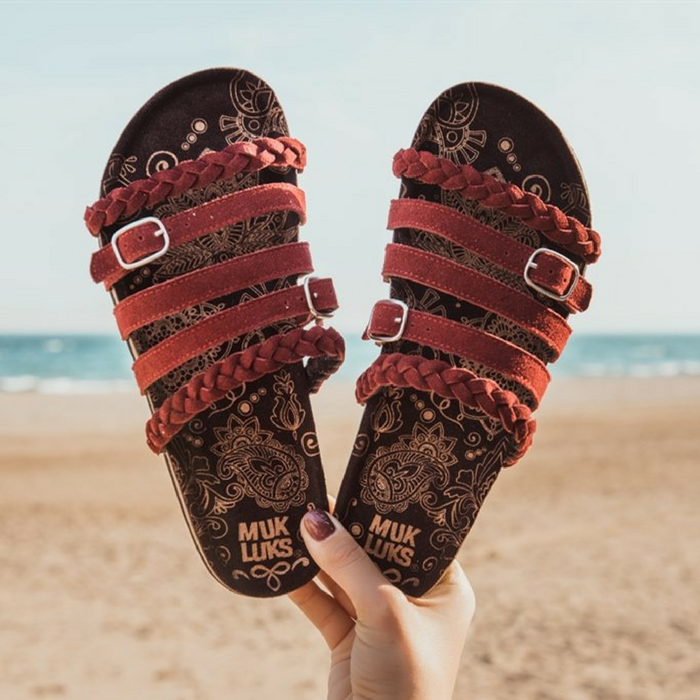 Casual, but far from your ordinary sandal MUK LUKS Terri features an easy slip-on style, comfy contoured footbed, and eye-catching details in the braided strap and decorative buckle. I’m sure you’re gonna love it!